The lookup formula on the other hand, allows you to understand more about items in your tables based on information throughout your doc. For example, I may want to see a list of all the projects associated with a Goal. 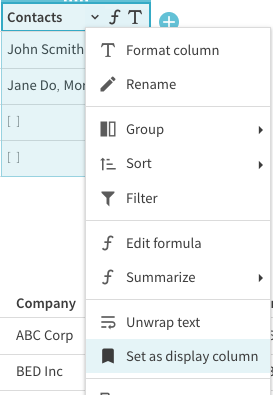 If you want to slice and dice your data along multiple factors, check out the filter formula. 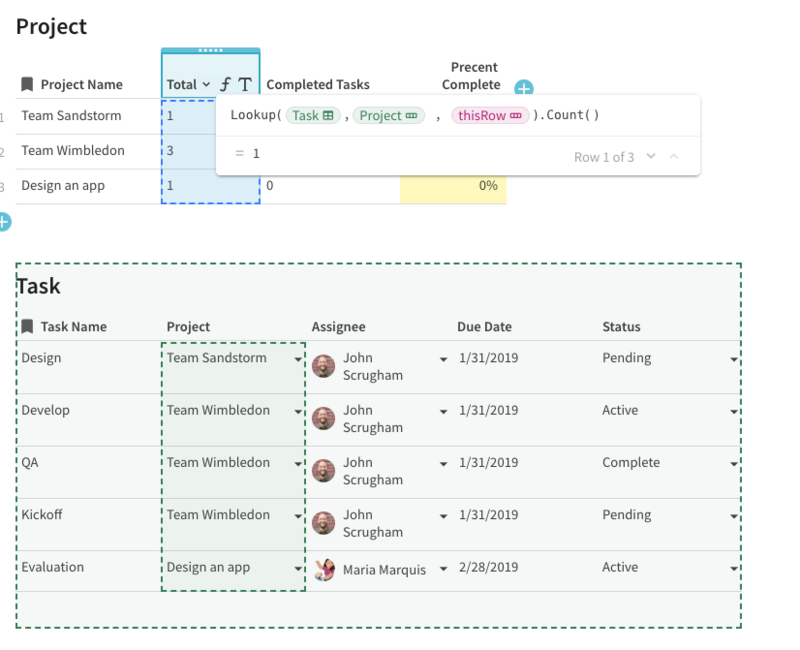 Since lookup columns pull all of the details about a row, you can actually use formulas with them by typing the column name, a dot (or period), and the value want to pull from the other table. In the example above, we're saying to show the email address of the Contact. 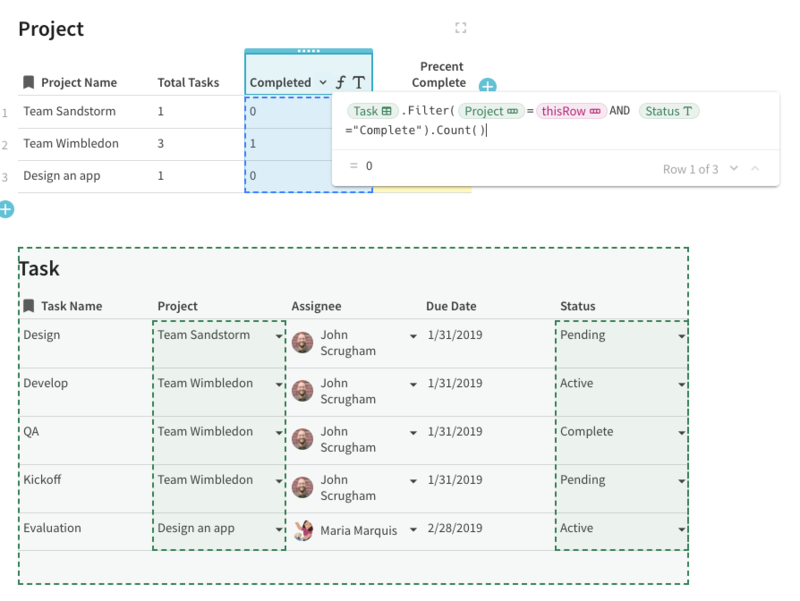 Then, you'll use thisRow with filtering to populate the completed tasks. 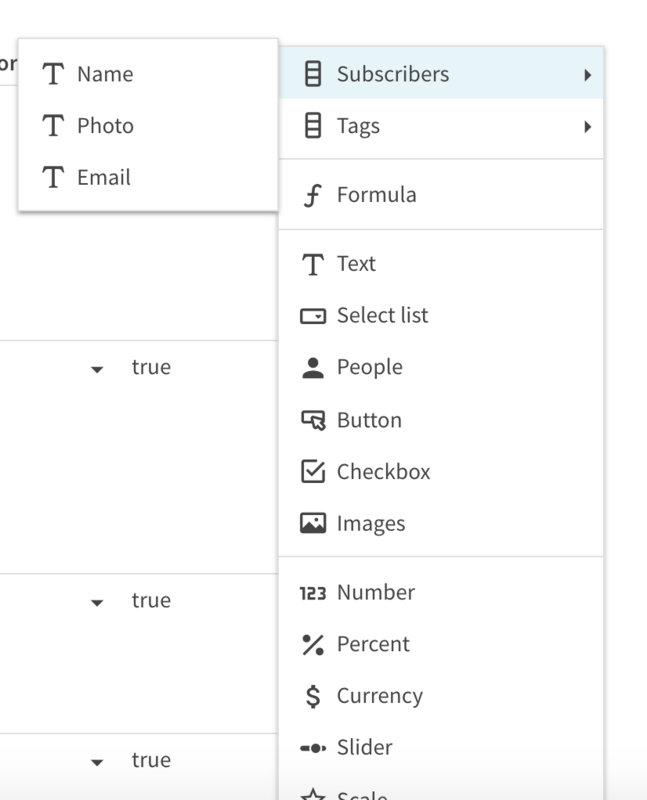 In this case, we're using the Filter formula rather than the lookup formula because we want to cut out data along multiple lines (the project name and the status). Make sure the lookup column is visible and not in the "hidden columns" section.